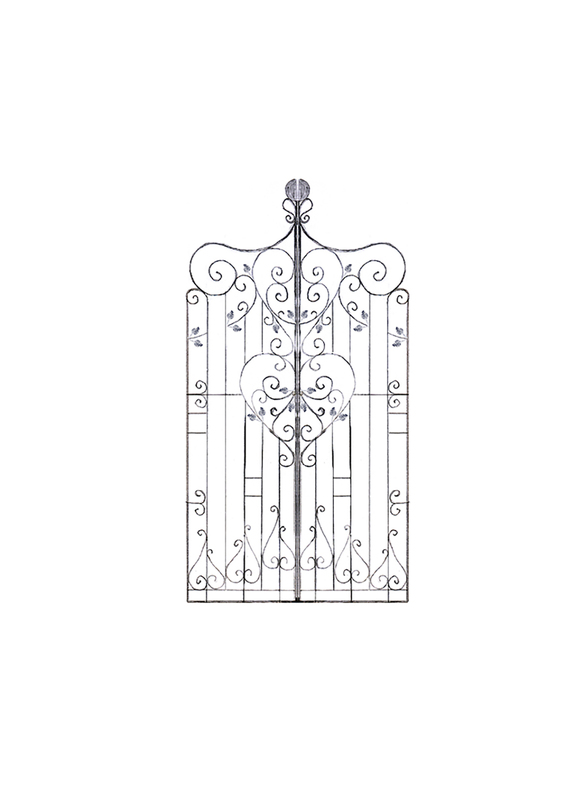 Design: S J Period gate. 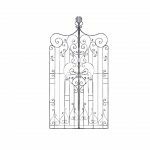 Info: This beautiful period style gate, is designed to hang between two sphere topped piers. Finish: Galvanised with antique etch. 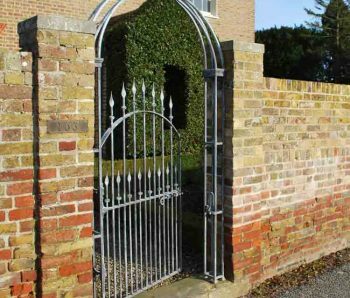 This beautiful period style gate, is designed to hang between two sphere topped brick piers. 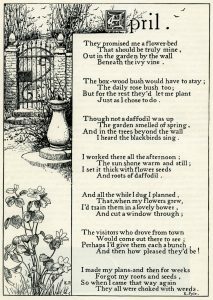 Hand-crafted from square/round and flat mild steel. The large love heat designs are hand scrolled with forge tapered ends. 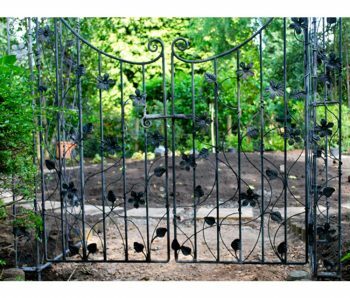 The gate is hung from two large hinge plates. 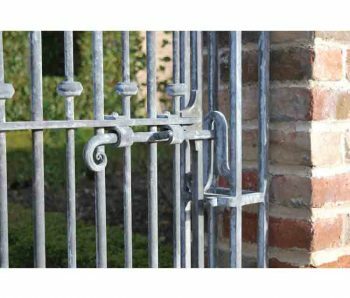 The gate is locked with key/barrel and a forged shoot bolt. 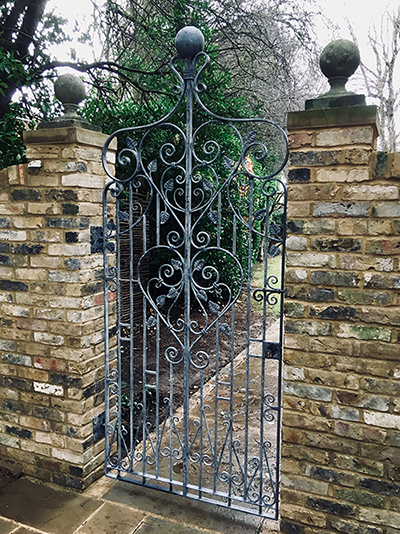 Fully galvanised and finished in Antique etch. 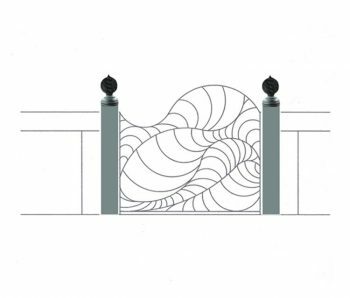 No two gates are the same.